You will be covered by MCR Safety's high quality pvc/polyester aprons. The 200S5 is made of .35mm pvc/polyester material. The PVC will give you protection from liquids and the polyester will give you resistance from rips and tears. 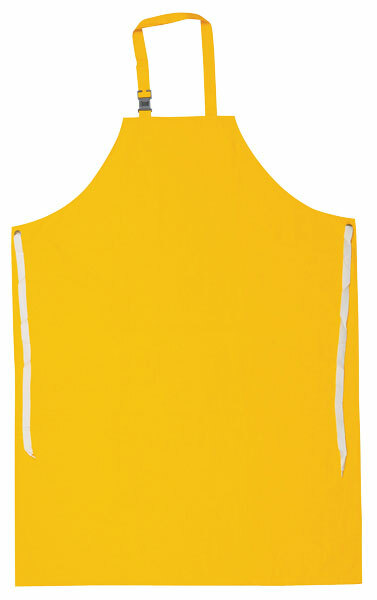 This apron has sewn edges and measures 35" x 47".